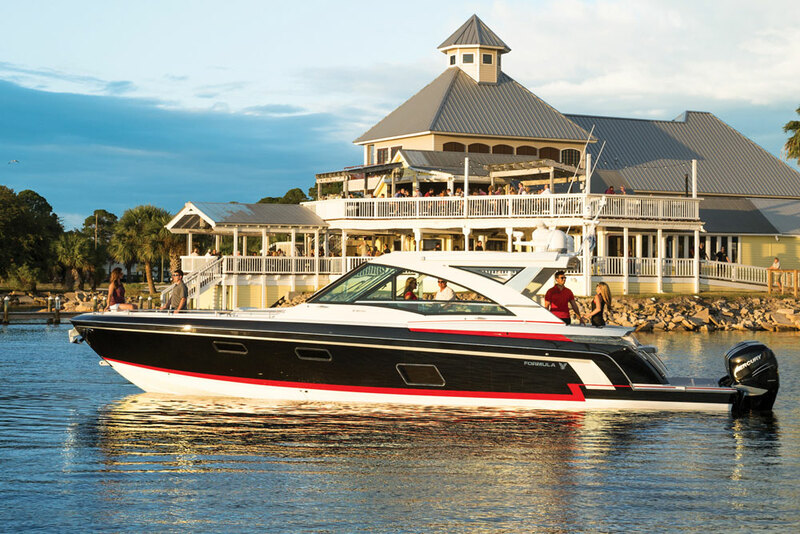 The 2017 Viking 37 Billfish is a different kind of convertible. 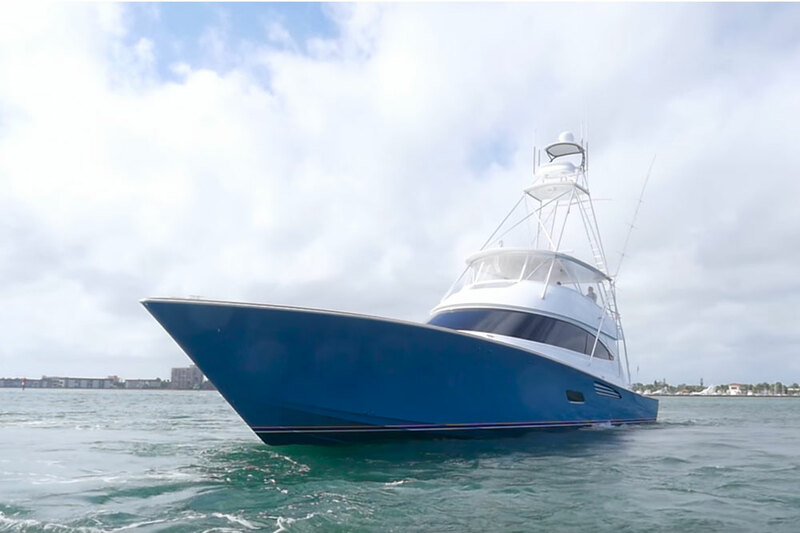 The convertible-versus-express debate has raged on among offshore anglers forever and we’ve taken a stab at examining the issue before, in the article Convertible vs. Express: Which is Best for Bluewater Fishing, but the 2017 Viking 37 Billfish may just lay this argument to rest. Or at the very least, present a new option for anglers: the convertaspress. Or, maybe it’s an expressacon. We’re not entirely sure how to best label this fishing machine, and in fact, it may just defy normal labeling. In any case, from an angling standpoint it has the best attributes of a convertible, along with the strongest suites of an express. Check out this short First Look Video, to learn why. Beyond the convertaspress/expressacon combination, what does the 37 Billfish get you? The cockpit is 86 square feet of fish-fighting territory, with a bait freezer, tackle stowage, insulated fishboxes, and a transom livewell. 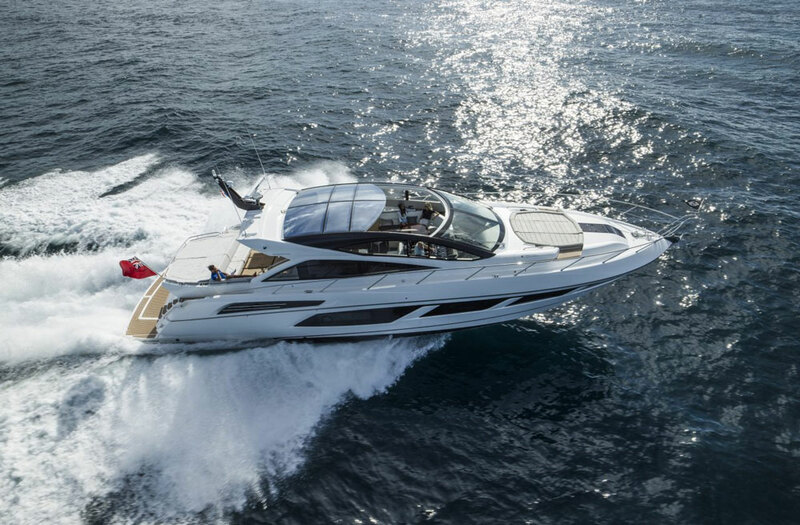 We love the aft-facing seats in the cockpit—sore of a mini-mezzanine—and although the port side seat is a bit tough to use because of the flybridge ladder, feel that this about the best use of space possible on a boat of this size. 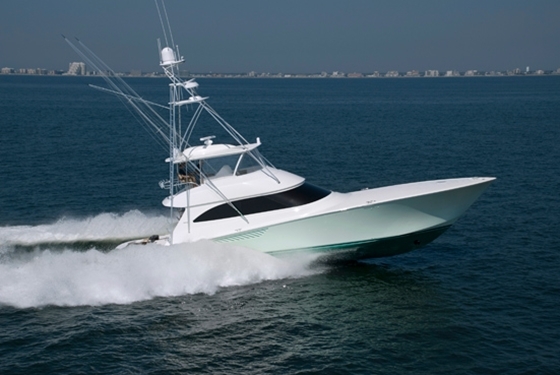 With the standard-issue Cummins QSB 6.7 diesel inboards the 37 Billfish cruises at about 30 knots and can hit a top-end close to 35 knots. Construction touches include cored hullsides above the chine and solid glass below, a vinylester resin barrier coat, and a molded glass stringer grid. 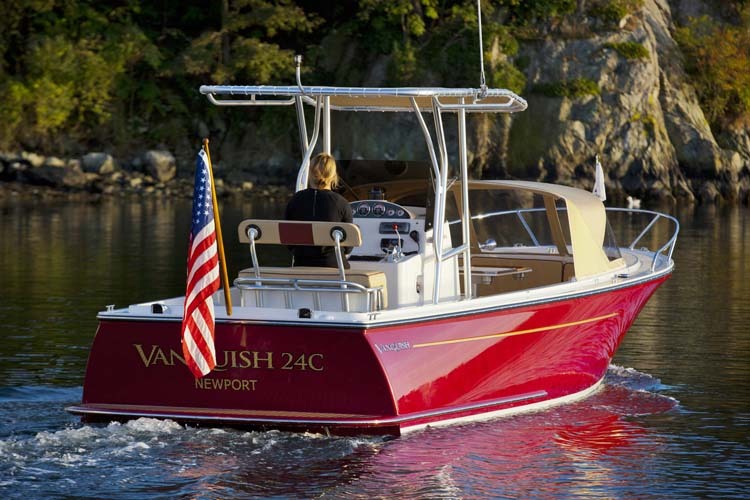 The 37 Billfish is also riddled with high-end standard features that would be cost-adding options on many competing boats. You want examples? 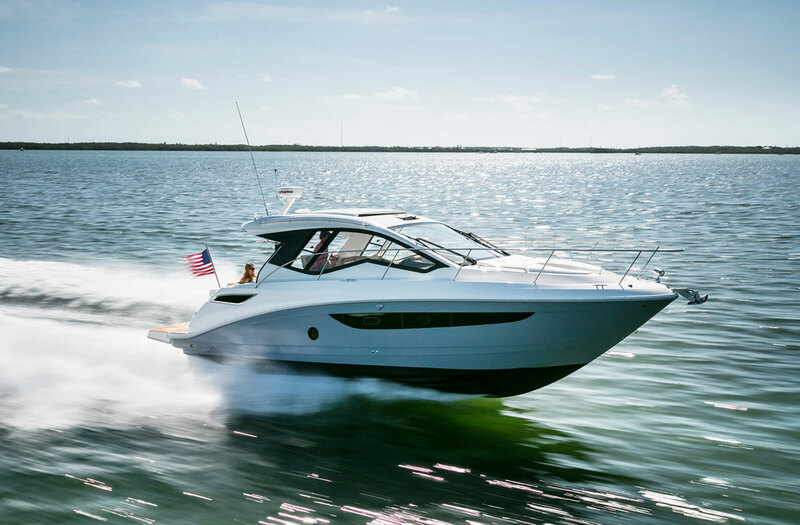 Entertainment goodies like a 20-inch flat-screen TV, a CD/DVD player, stereo system, plus air conditioning and the lower helm station are all standard fare. One interesting choice you’ll have to make when getting a 37 Billfish is the stateroom layout. It can be fitted with a queen berth (more applicable to family cruising) or it can have a pair of over-under berths (better suited to overnight anglers taking a break from the action). 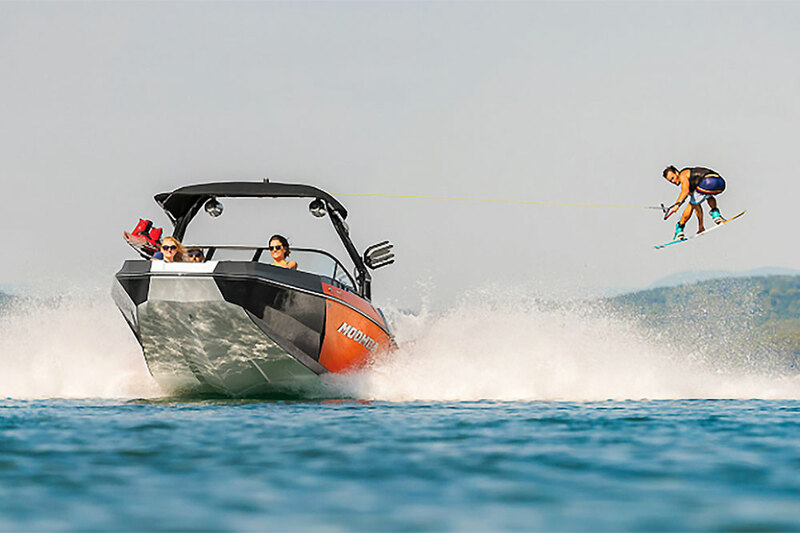 If you can’t make the decision between an express and a convertible, and if fishing is first and foremost in your mind, this is a model you’ll want to take a close look at. It’s a different approach to an age-old argument—and we think it’s a good one. 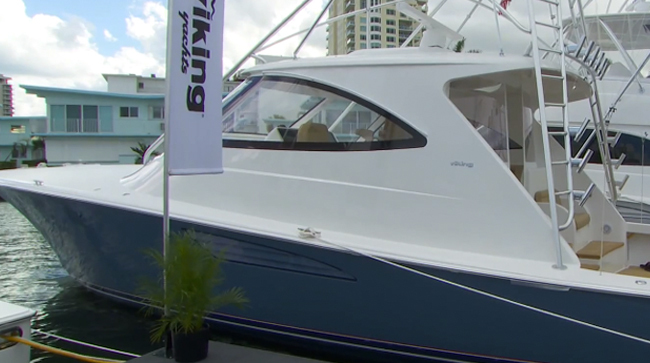 For more information, visit Viking Yachts. See Viking 37 Billfish listings.